Considered a “breakthrough in the evangelical world” by conference organizer Bethlehem Bible College, Christ at the Checkpoint 2012 focused on “the ministry of the Palestinian Church in the context of the Palestinian-Israeli conflict.” Six hundred participants, including many university students, came to Bethlehem from nearly two dozen countries. Conference speakers included Lynne Hybels, Bishara Awad, Gary Burge, Rod Sider, Chris Wright, Joel Hunter, Salim Munayer, John Ortberg, Tony Campolo, Shane Claiborne, Munther Isaac, Doug Birdsall, David Kim, and Colin Chapman. In keeping with the conference’s theme of “hope in the midst of conflict,” EGM’s Little Town of Bethlehem was shown one evening to a very engaged audience. Sami Awad and Yonatan Shapira, both subjects featured in the film, were joined by EGM president Bill Oechsler in a post-screening Q&A that lasted well past midnight. You can read more about Christ at the Checkpoint 2012 at christatthecheckpoint.com. 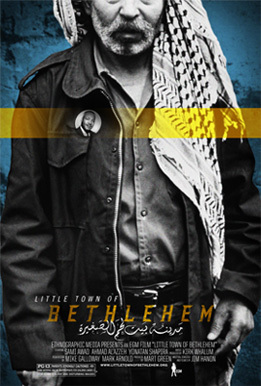 To host your own screening of Little Town of Bethlehem, visit littletownofbethlehem.org.